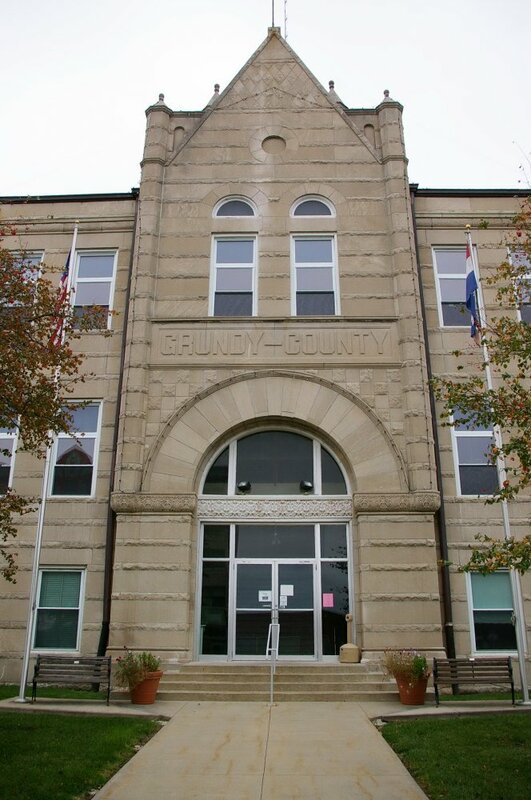 Grundy County is named for Felix Grundy, who was a United States Attorney General and a United States Senator from Tennessee. 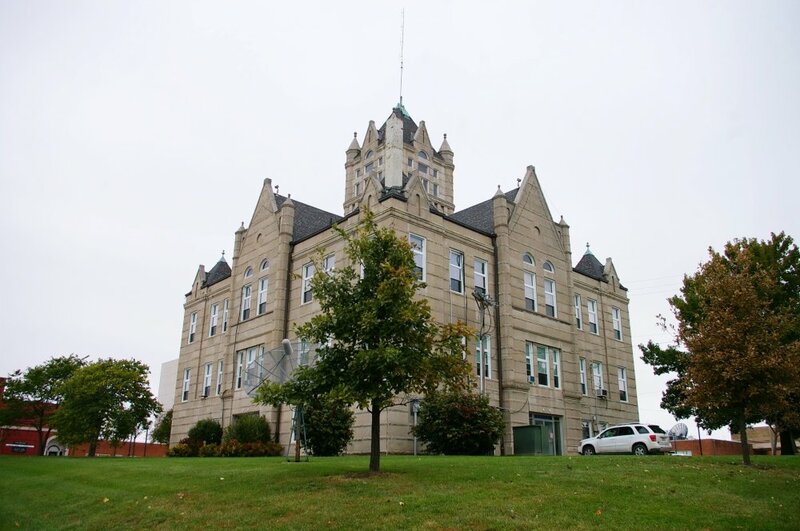 Description: The building faces northwest and is a three story cream colored Bedford stone structure. The building is 79 feet by 84 feet and has alternating courses of rough and smooth stones. The west front has a large arch at the first story entrance and rises to a peak above the roof line. 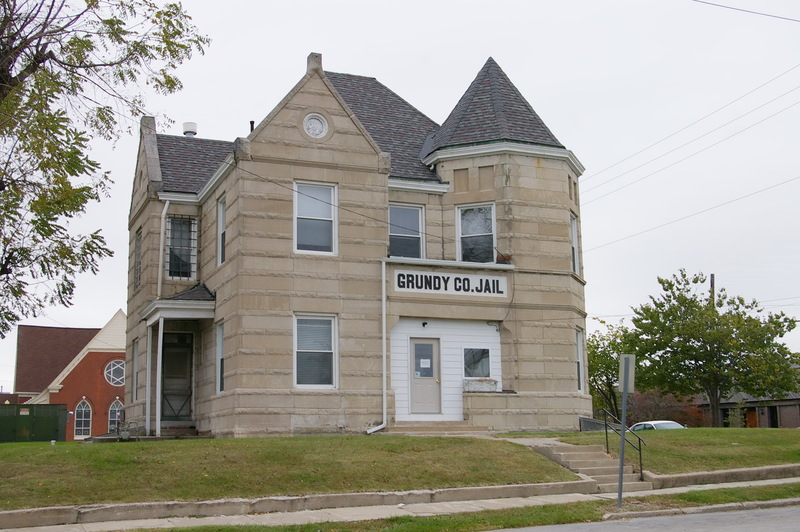 There is a square stone tower on each corner with peaked roof. 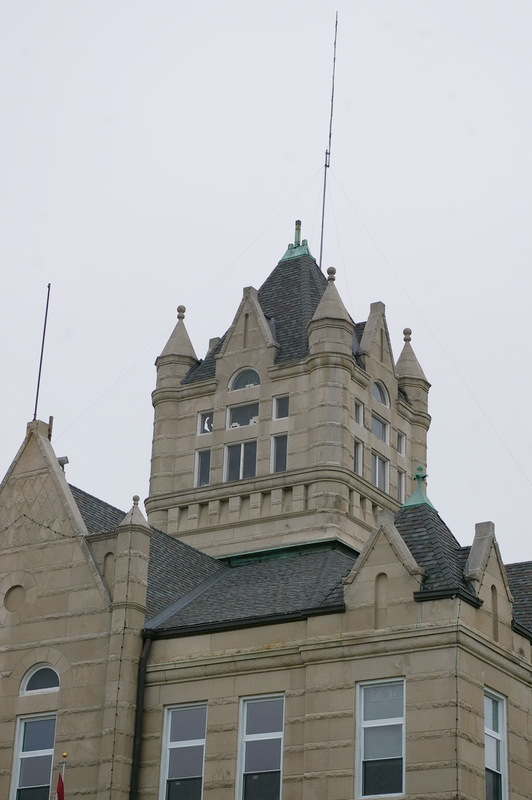 On the center of the roof rises a large square stone tower with peaked roof. 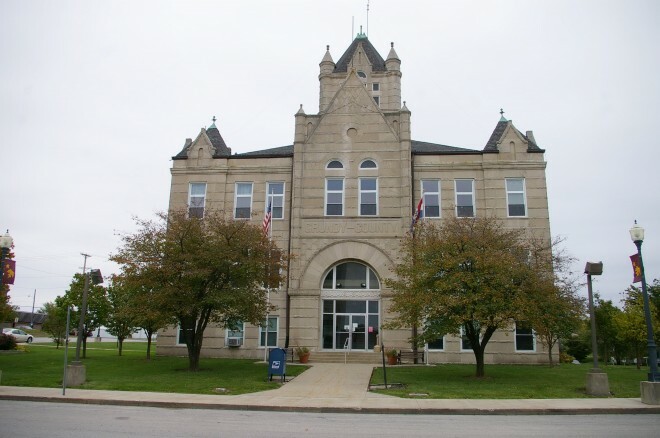 On the north side of the courthouse is the old jail. 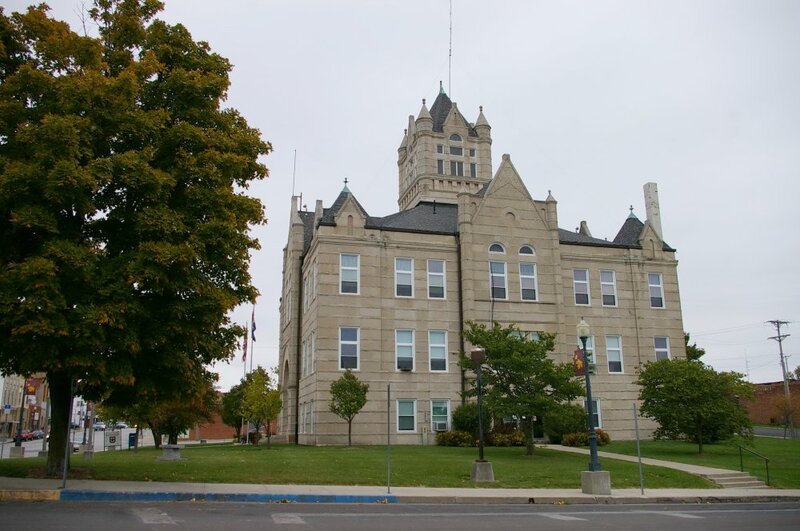 Note: The first courthouse was built by William Collier, Larkin Richardson and Joseph Thompson of Howard County under the supervision of Andrew J Walker in 1842 to 1844 at a cost of $6,000. 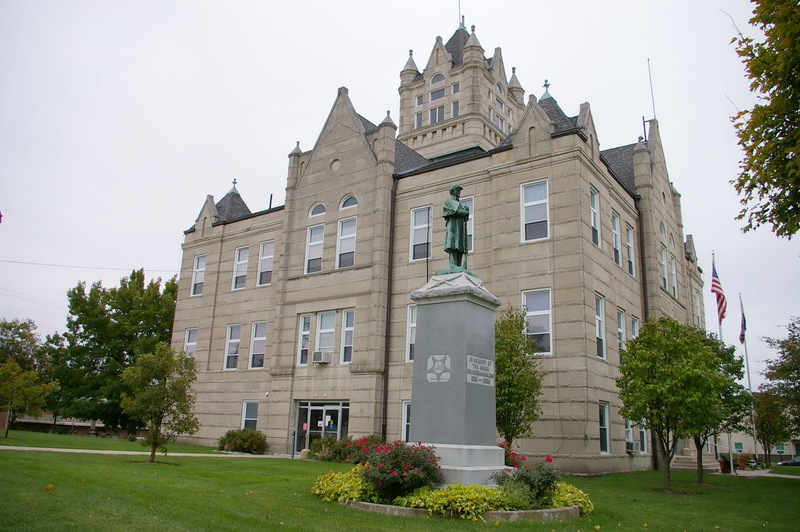 The cost of construction of the present courthouse was $60,000.